The first trek of the research trip will start early June. I'll pick up the border permit from the capital of Kyrgyzstan Bishkek at trekking agency Dostuck. After that straight south to Osh and start walking! 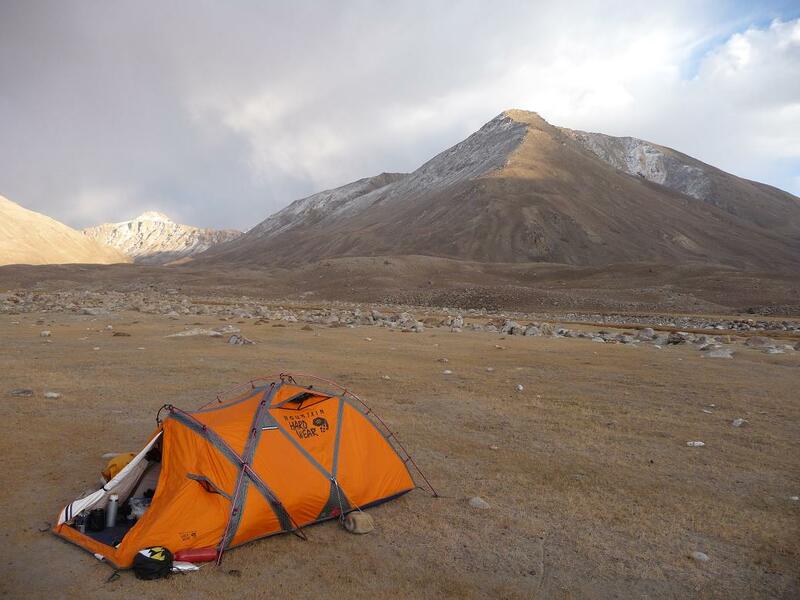 The walk to Pik Lenin Basecamp involves crossing a high pass (Jiptik, 4175m). 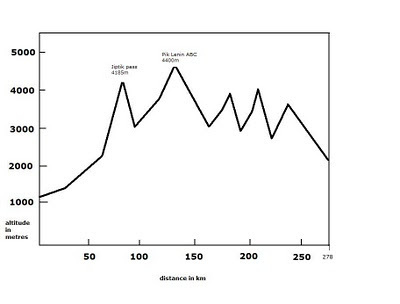 That will be hard work coming from sea level. 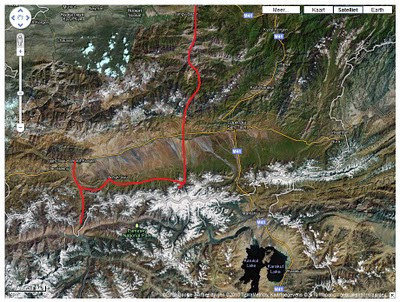 The views from this pass over the High Pamirs should be amazing. 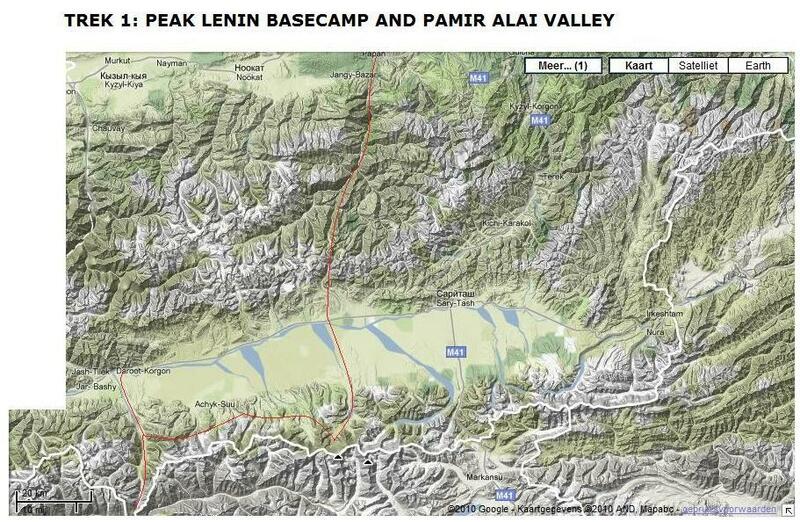 The crossing of the Kyzyl-Suu river in the Pamir Alai Valley and onwards will take me to the foothill of Pik Lenin, supposedly the easiest 7000 metre peak in the world. Still high and cold I'm not sure easy is the appropriate word. 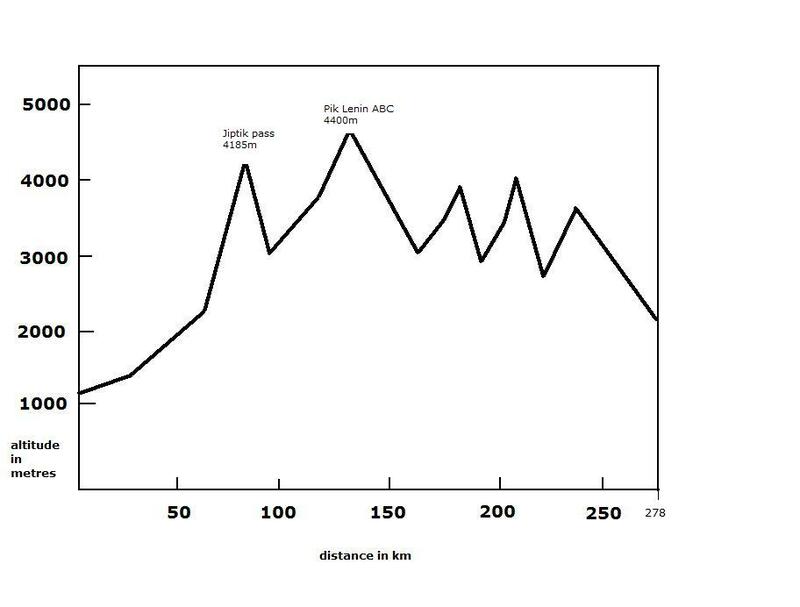 From Achik Tash, the official name of the basecamp, walking up to camp 1 at the Lenin glacier is pretty easy. From there it will be westerly direction along the glaciers and pastures of the Pamir Alai. The trek will take roughly 10 days and is around 250km.